Recent History Shows the Pocahontas-Kentucky Oaks Double Unlikely: The $200,000 Pocahontas Stakes is on Saturday, September 6, 2014 at the lovely Churchill Downs. The race is a grade three race for 2-year-old fillies, and is used as a points race, but, only if more than 14 fillies are entered in May. The nine two-year-old fillies entered for Saturday’s race have history, actually, AGAINST them. Only one filly have come back to win the Kentucky Oaks after winning the Pocahontas Stakes as a two-year-old. That filly is this year’s victor, Untapable. Let us look at some recent winners of the Pocahontas Stakes and see how they faired over their careers. 2000 – Unbridled Elaine – Unbridled Elaine did not even come back as a three year old until after the 2000 Oaks had been run, but she would go on throughout 2001, as a three year old, to win three stakes, and two graded stakes wins. Those graded stakes win came in the G2 Monmouth Breeders’ Cup Oaks, and the Breeders’ Cup Distaff. She also ran against the males, finishing a second place finish in the Pennsylvania Derby against Macho Uno. 2001— Lotta Rhythm – Lotta Rhythm never won another stakes race after the Pocahontas. She retired after he four-year-old season. After the Pocahontas, she only won three more times, all in allowance company. She never made it to the Kentucky Oaks. 2002—Belle of Perintown – Belle of Perintown took 5 races to break her maiden, which then took her to the Pocahontas, where she won. She would go on to only win one more race in her three-year-old season, and that win also made her a graded stakes winning mare. She won the G2 Silverbulletday Stakes. She never made it to the Kentucky Oaks. After her Pocahontas win, Untapable did not win as a two-year-old, but she did manager to put it together this year, as a three-year-old. She has become a grade one winner by claiming the Mother Goose and Kentucky Oaks. 2003 – Stellar Jayne – Stellar Jayne went on after her Pocahontas victory to become a multiple graded stakes winner. She would rack up victories in the G2 Golden Rod Stakes, the G3 Dogwood Breeders’ Cup Stakes, the G1 Mother Goose Stakes, the G1 Gazelle Handicap, the G1 Ruffian Handicap, and finally, the G1 Top Flight Handicap. She would also hit the board in multiple stakes, including the 2004 Breeders’ Cup Distaff. Sadly, in her three-year-old year, she would find the Kentucky Oaks starting gate, but would wind up 7th. 2004 – Punch Appeal – Punch Appeal never won a graded stakes race, other than Pocahontas, and only won one race in her three-year-old season, which was a listed stakes race at Delta Downs. She never made it to the Kentucky Oaks. 2005 – French Park – French Park would win one more race in 2005, that being the G2 Golden Rod, but only raced twice as a three-year-old, with only one on the board finish. She never made it to the Kentucky Oaks. 2006 – Change Up – Change Up was not the most consistent filly, only winning two more times in her career, but she was able to hit the board in some stakes races as a three- and four-year-old. She never made it to the Kentucky Oaks. 2007 – Pure Clan – Pure Clan would go on to become a dominant filly at three- and four-years-old. She racked up five graded stakes wins, and hit the board in multiple others. 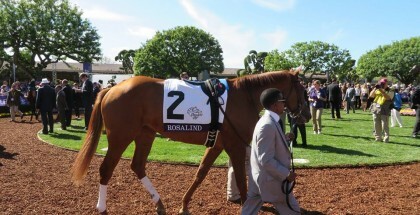 She did make it to the 2008 Kentucky Oaks, finishing a respectable third to Proud Spell and Little Belle. 2008 – Sara Louise – Sara Louise won the Pocahontas after breaking her maiden, to begin a string of graded stakes races, in which she won two, and hit the board in multiple others. She did not make it to the Kentucky Oaks. 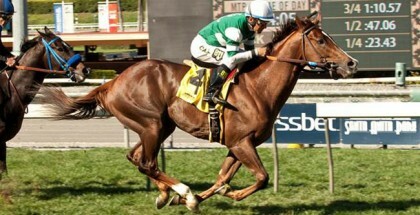 2009 – Sassy’s Image – Sassy’s Image won the G3 Pocahontas after multiple failed tries in graded stakes company. As if she had finally put it all together, she, as a three-year-old won multiple graded stakes, and hit the board in several others. She is a grade one winner, and enjoys a life as a broodmare. She did not make it to the Kentucky Oaks. 2010 – Dancinginherdreams – Dancinginherdreams went on to become a less than spectacular filly. She did hit the board in the 2011 Forward Gal and Davona Dale, but failed to really show her talent afterward. She ever made it to the Kentucky Oaks. 2011 – On Fire Baby – On Fire Baby is a highly regarded mare, as she is still racing. She is a multiple graded stakes winner, after winning the G2 Golden Rod, the G1 Honeybee Stakes, and the G1 Apple Blossom. She surprised everyone this year when she romped in the G1 La Troienne at Churchill. She had placed second in 2013 in the same race. She did make it to the 2012 Kentucky Oaks, but only managed to place fifth, to fellow opponents Believe You Can and Grace Hall, among others. 2012 – Sign – Sign won the Pocahontas after breaking her maiden, but then fell off the map for over a year. 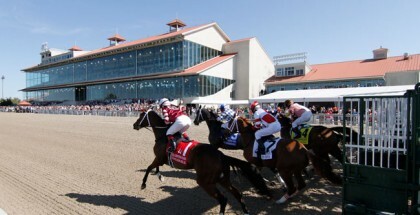 She returned this year in an Allowance Optional Claiming race at the Fair Grounds, but she only managed to finished 7th. She, obviously, never made it to the Kentucky Oaks. 2013 – Untapable – After her Pocahontas win, Untapable did not win as a two-year-old, but she did manager to put it together this year, as a three-year-old. 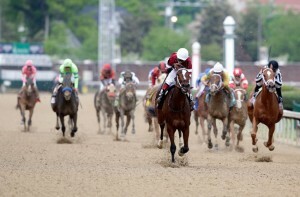 She has become a grade one winner by claiming the Mother Goose and Kentucky Oaks. In the past 13 years, only one filly has won the Pocahontas-Kentucky Oaks double. These fresh two-year-old fillies have history stacked against them. If one of these fillies shows up in May in the Churchill Downs winners circle, she will be added to a short list of fillies to accomplish the feat!